"The former owner of a Portland halal market who, with his brother, traded $1.4 million in federal food benefits for cash was sentenced Monday afternoon in U.S. District Court to three years in prison. 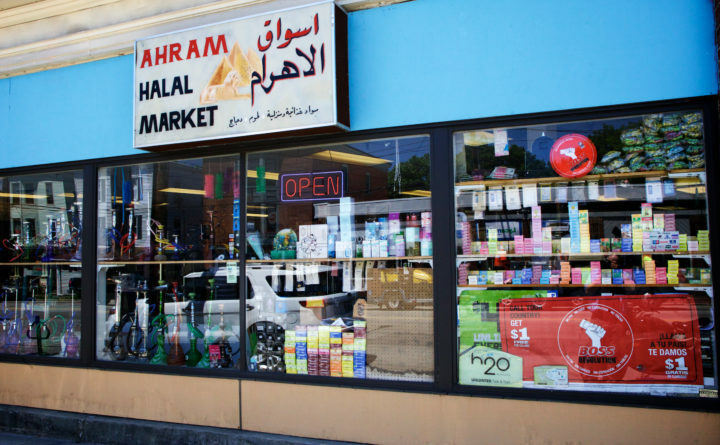 Ali Ratib Daham, 41, of Westbrook, who originally owned Ahram Halal Market, 630 Forest Ave., pleaded guilty in November  to one count each of conspiracy to defraud the U.S. government, money laundering and theft of government funds. A halal market under different ownership still operates at that address. Daham remains free on bail until July 18, when he must report to a prison assigned by the U.S. Bureau of Prisons. Ali Daham already has paid $80,000 toward restitution, according to court documents. In addition to prison time, both men were sentenced to three years of supervised release. Augusta attorney Walter McKee recommended the former store owner be sentenced to six months in prison in his sentencing memorandum. He said that 72 letters in support of his client had been submitted to the court. Nearly 60 friends, family and supporters filled the Portland courtroom, several of whom told Hornby that Daham is a kind family man who deserves lenience. “I came from a country experiencing different wars,” Ali Daham said through a translator when it was his turn to address the court. During that period, the market received more than $4 million in SNAP and WIC receipts, at least $1.4 million of which were obtained illegally, according to court documents. In his sentencing memorandum, the younger man’s attorney, Peter Rodway of Portland, argued that Abdulkareem Daham began working at the store in 2011 when he was a 16-year-old high school student. In spite of his conviction, he worked stocking shelves and did not begin working as a cashier until July 2015, Rodway said. The attorney also maintained that his client was only responsible for $226,000 in losses since he only worked as a cashier for 18 months. It was at the cash register where the actual exchange of benefits for money took place, according to court documents. Rodway recommended his client be sentenced to five months or time served. Abdulkareem Daham’s bail was revoked about two weeks before his trial for smoking marijuana. He is expected to be deported since unlike his brother, who in 2013 became naturalized American citizen. The maximum sentence for their crimes is five years in prison and fines of up to $250,000." image caption: "2015 file photo of Ahram Halal Market on Forest Avenue in Portland. Troy R. Bennett, file"
Comment: George W. Bush should be in prison for starting war with Iraq. All Muslims from Iraq should be deported with a bonus. Each should be given a share of George W. Bush's net worth and pension.